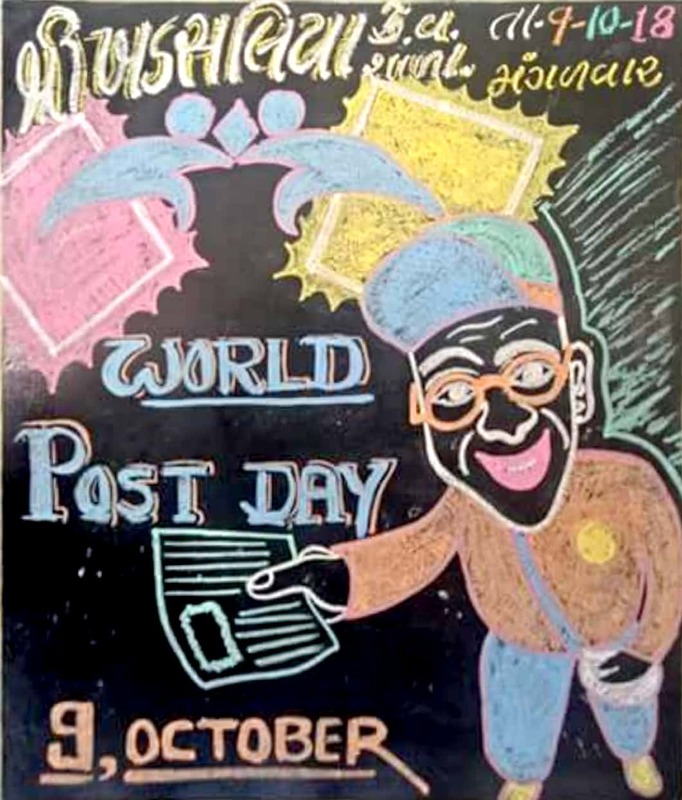 Home » Ojas Job » Other » TODAY WORLD POST DAY 9 OCTOBER SCHOOL BLACK BOARD PAINTING. TODAY WORLD POST DAY 9 OCTOBER SCHOOL BLACK BOARD PAINTING. From the earliest times in history, "postal services" existed in the form of messengers who travelled large distances on foot or horseback. In the 1600s and 1700s, many countries set up national postage systems and entered into bilateral agreements for the exchange of mail between countries. By the late 1800s there was a large web of bilateral agreements that made the distribution of international mail complicated, nontransparent and inefficient. In 1863, Montgomery Blair, Postmaster General in the United States of America, organized a conference of representatives from 15 European and American countries. During this conference, the delegates laid down a number of general principles for mutual agreements on international postal services but did not create an international postal agreement. On September 15, 1874, Heinrich von Stephan, a senior postal official in the North German Confederation (an area that now forms parts of Germany, Poland and Russia), opened a conference in Berne, Switzerland, with delegates from 22 countries. On October 9, 1874, the delegates signed the Treaty of Berne and established the General Postal Union. The number of countries that were members of the General Postal Union grew rapidly and the union's name was changed to the Universal Postal Union in 1878. In 1948, the Universal Postal Union became a specialized agency of the United Nations. The 16th Universal Postal Union Congress was held in Tokyo, Japan, from October 1 to November 16, 1969. During this conference the delegates voted to declare October 9 each year as World Post Day. The work of the Universal Postal Union continues to be very important to global communication and trade, even in the era of digital communication. In areas and communities with a high level of access to digital communication, postal services are important for distributing goods bought in Internet stores. In communities with lower levels of access to digital communication, postal services remain vital for the distribution of information and goods. Post offices and trucks used to deliver mail to outlying areas are also becoming service points to bring digital communication to many more people. Moreover, the union is working on ways to bring electronic money transfer services to rural areas in countries in the Middle East and in north-east Africa.